Keeping up with the change coming out of Washington can seem like a full-time job, but for brokers, it’s more important than ever to have an ear to the ground when it comes to legislative and regulatory issues that can affect their business and the industry at large. 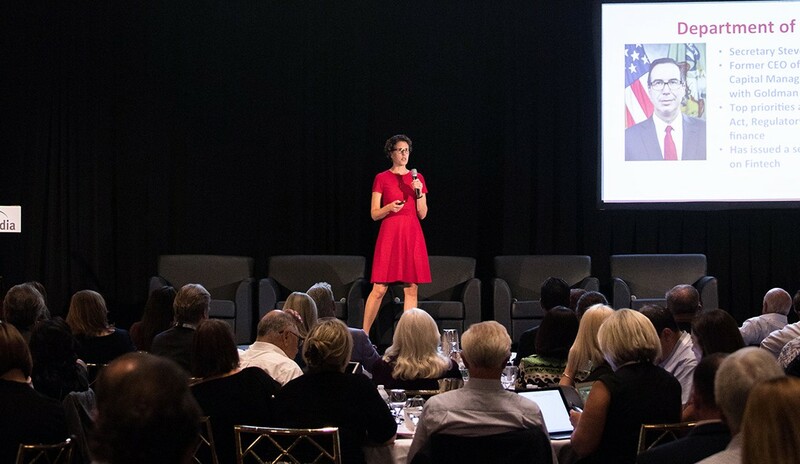 Sarah Young, director of Real Estate Services/Advocacy for the National Association of REALTORS® (NAR), took a deep dive into this very topic during a special presentation earlier this month at RISMedia’s 2018 Real Estate CEO Exchange. While NAR continues to advocate on behalf of the nation’s 1.3 million REALTORS® and 75 million property owners on a daily basis, Young kicked off her presentation with a look into their recent win on tax reform as part of the Tax Cuts and Jobs Act. Signed by President Trump in December 2017, the Tax Cuts and Jobs Act was examined closely in order to understand what it meant to homeownership, the real estate economy and business models alike. A last-minute inclusion of a tax cut in the form of a special 20-percent deduction for the self-employed and other pass-through business owners precipitated NAR’s desire to get large-firm input. “We talked about what this might mean for real estate broker services, and it became clear that we didn’t know whether it would include real estate broker services due to the way the law was written,” said Young. From there, NAR contracted with PricewaterhouseCoopers and put a letter together for the Treasury Department. Sent in July 2018, the proposed guidance came in August. Even though the proposed guidance suggests that more real estate professionals including sole proprietors, owners of s-corporations, LLCs and partnerships may qualify for the deduction, Young stressed the importance of meeting with one’s tax advisor as a critical first step. RESPA Compliance– “We don’t want to return to the Wild Wild West,” noted Young. That being said, RESPA is still alive and well, and real estate professionals must continue to follow co-marketing best practices.